Tom Kane. The guy does it all. Star Wars. The Wild Thornberry’s. Animation. Narration. The Smurfs, and more. The mark of a good voice for the show that is seen by 100’s of millions around the world? (1) You barely notice he’s there. (2) He never makes a mistake. (3) He’s worked hard to get there. 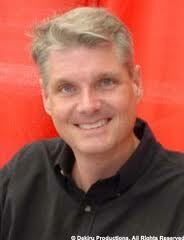 Here’s a great article about how Tom Kane prepared for the show (his 4th!). (Kansas City is proud of one of its favorite sons!) It also explains all the other announcing he does behind the scenes at the show. Also, here’s a quick YouTube video showing some of his versatility off-the-cuff.